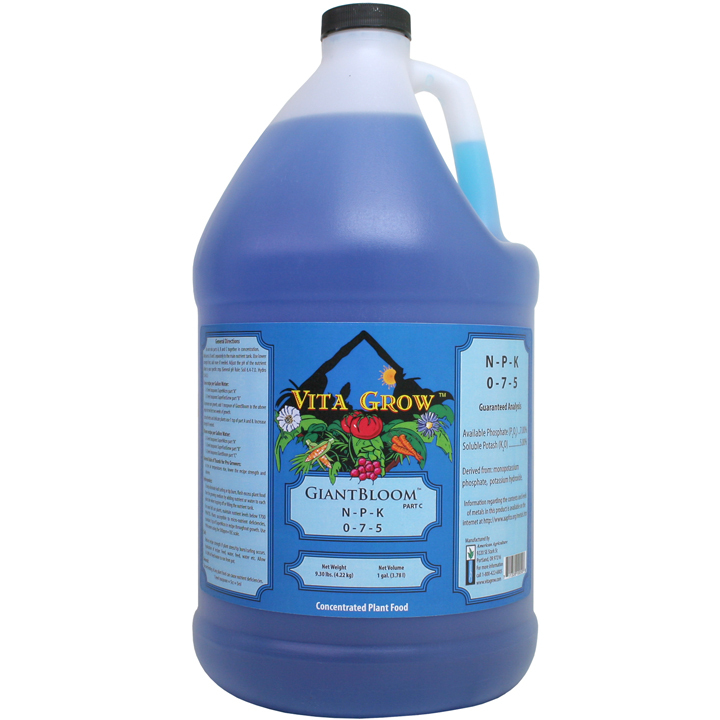 Vita Grow is a two part formula (Super Micro part A & Super Fast Grow part B) with a bloom enhancer (GiantBloom part C). All of the micronutrients plus a NPK are in Super Micro. The Super Fast Grow is Nitrogen and Calcium. 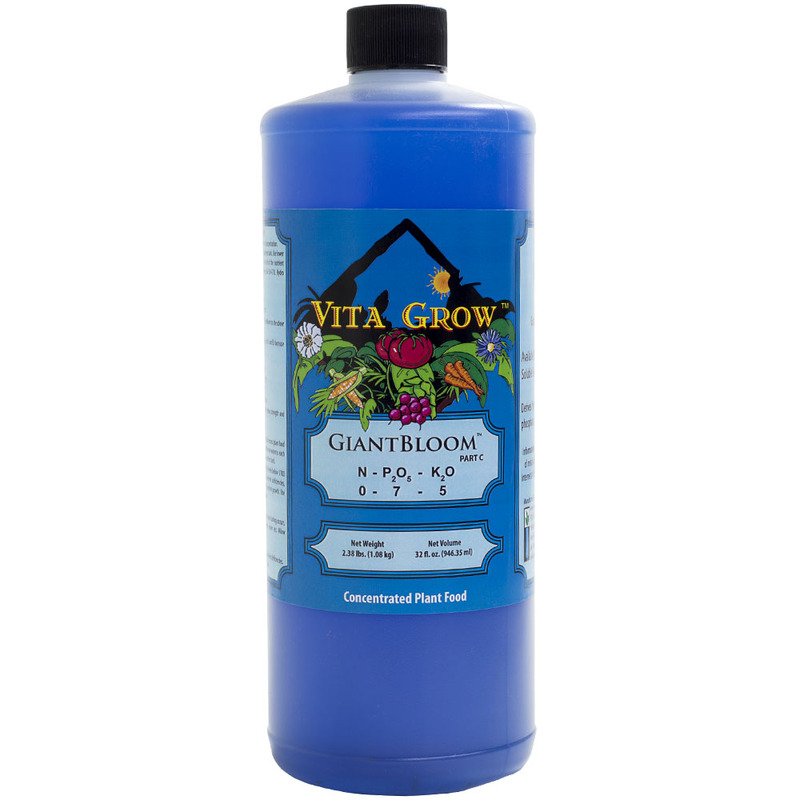 The GiantBloom formula is extra Phosphorus and Potassium for enhanced bud and bloom. These unique nutrient delivery formulas give the grower the ability to easily adjust nitrogen levels before or after the bloom stage. You will need all three parts for proper bloom growth. Choose all dry or all liquid formulas. 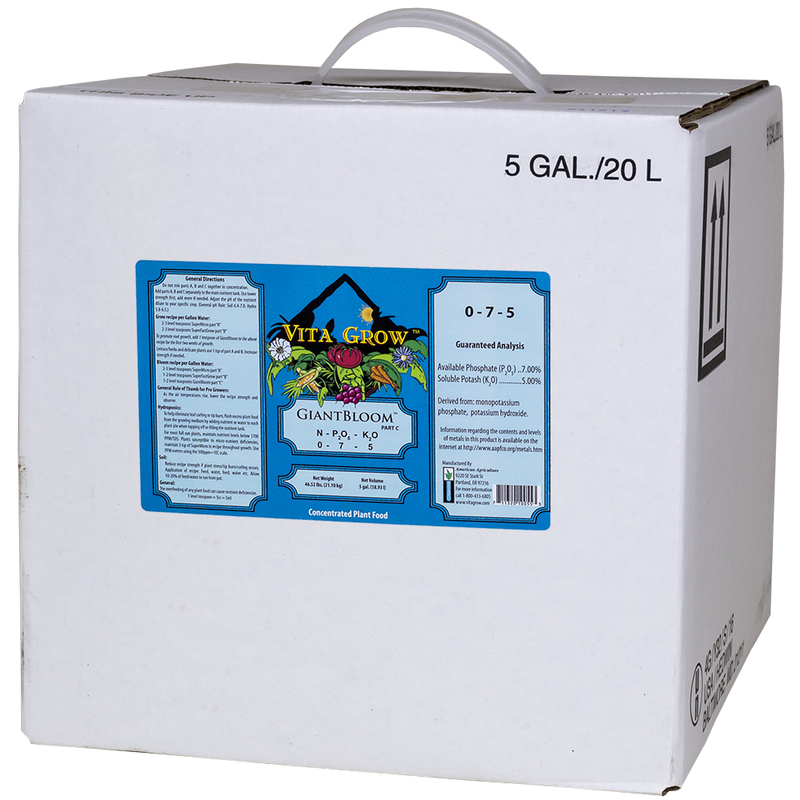 Vita Grow plant food is a proven nutrient with a great field record of over 15 years. It is an inexpensive workhorse for both hydroponic and soil growers. Growers try other plant foods but always seem to come back to Vita Grow when they experience problems. Both the dry and liquid plant food are derived from the same formula, the only difference is that water has been added to one and not the other. 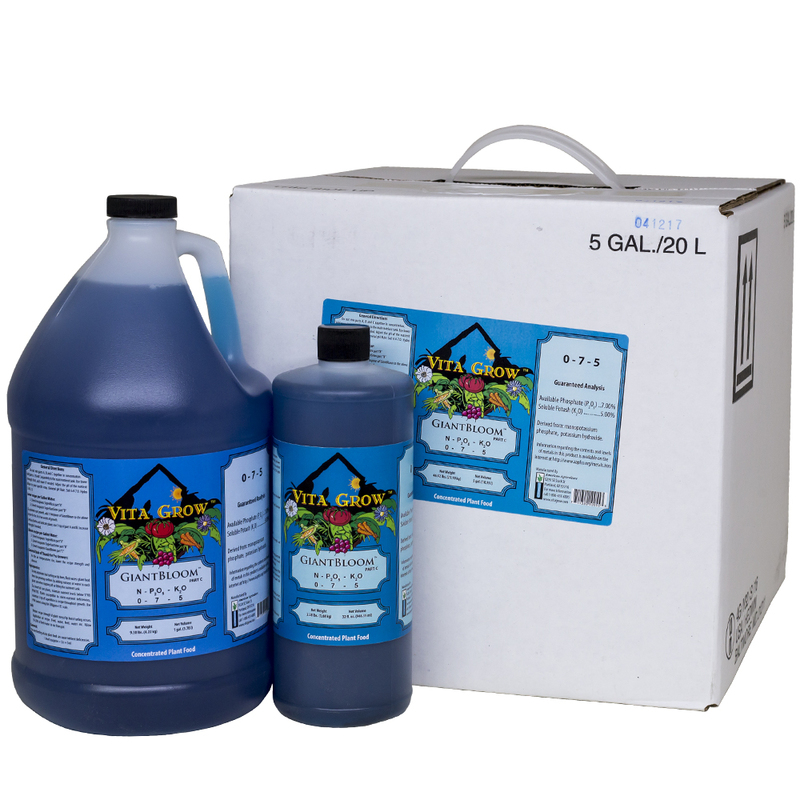 This means that you can switch from dry to liquid without any growth difference in the plants. Give it a try; you’ll be glad you did. I have been using all 3 of the products together. They have improved my crop heartily. The Giant Bloom has strengthened my root system immensely. I recommend this brand to all of my fellow growers.